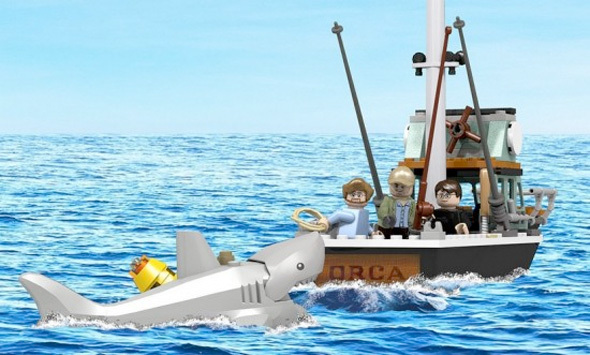 With the Back to the Future DeLorean LEGO set already on shelves and the Ghostbusters Ecto-1 LEGO set coming in June, it's a good time to be a movie lover who loves LEGO stuff. 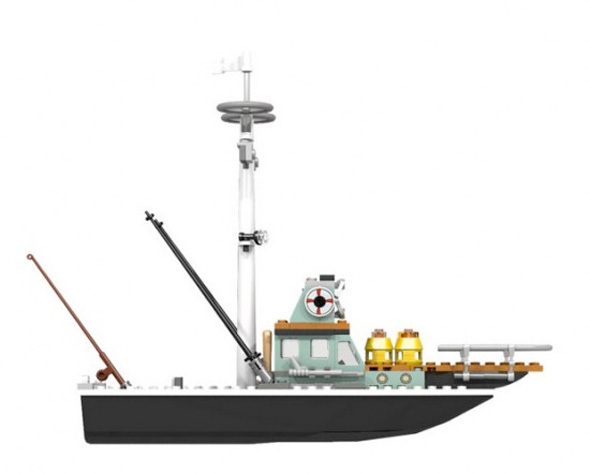 While we recently pushed for your support for another Ghostbusters 30th anniversary LEGO set in the form of the Stay Puft Marshmallow Man, now we're switching gears to another classic film that has a cool set made by a fan at the LEGO community Cuusoo, which has now been rebranded the LEGO Ideas community. 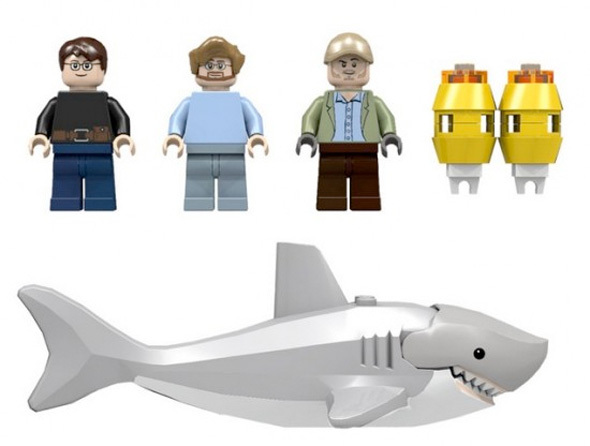 This time it's Jaws, the classic film from Steven Spielberg with a hopeful LEGO set, and of course it comes with the shark. Look! It's a simple set, but those minifigures are awesome. 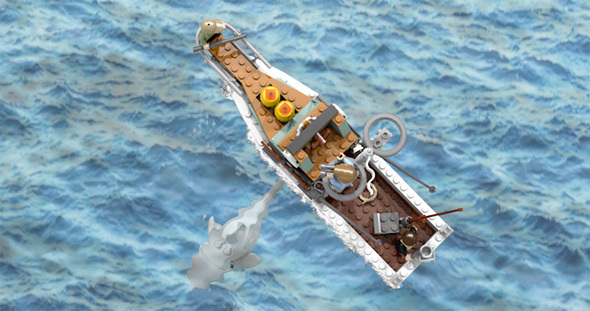 The set's creator even has a noble cause saying, "I would love a percentage of any profits to go to Shark Savers to conserve this amazing animal. Since the book and films release, understanding the importance of marine conservation has become widely publicized and supported. However, the oceans are still losing vital species and habitats at an alarming rate. We have the power to change this. With your vote, my aim is to bring much needed awareness to the ever concerning plight of our marine environment and offer an exciting fan collectable. Bath time will never be the same again!" 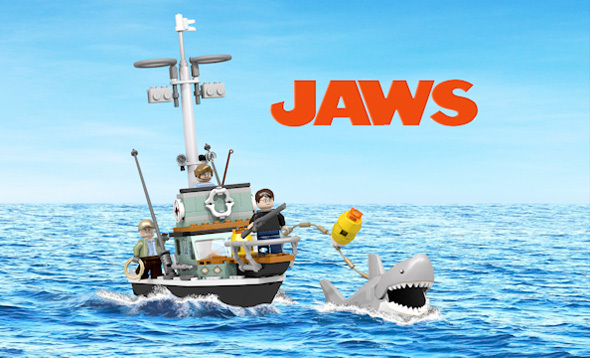 If you want to support this awesome Jaws LEGO set, hit up the LEGO Ideas site right here. Cool? Nice idea, and nice set. Definitely going to need a bigger boat! Cool set!